American Roll-on Roll-off Carrier has expanded its Atlantic Service with the addition of a fifth ro-ro vessel, the Freedom, expanding its regular ports of call to include Galveston, Texas, and Veracruz,Mexico. 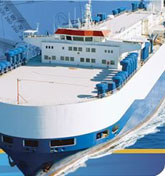 The Atlantic liner service will henceforth consist of five vessels on a 10-day frequency with a 50-day roundtrip duration. 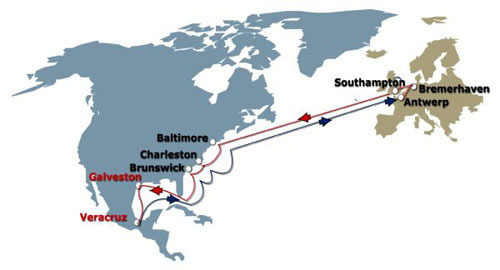 Regular port calls in the region will include Baltimore; Charleston, S.C.; Brunswick, Ga.; Galveston; Veracruz; Antwerp, Belgium; Bremerhaven, Germany; Southampton, England; and other ports served on an inducement basis.